Thanks to their fast speeds, Solid States Drives are the storage device of choice for most consumers these days. But for those who need extra capacity, the price of SSDs can be an issue; Samsung’s “world’s largest SSD,” for example, is $1500 for the 4TB version. So if you want an enormous drive that can hold an absolute ton of 4K videos, photos, and games, but you don’t want to pay well over a thousand dollars, then you’ll need a traditional hard disk drive. 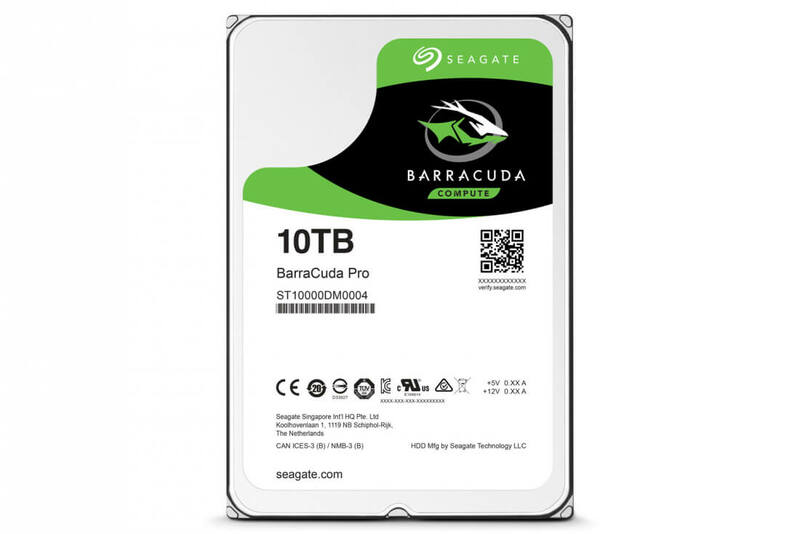 Step forward, Seagate, with the world’s largest consumer hard drive: the 10TB Barracuda Pro. The $534.99 BarraCuda Pro is one of three new 10TB hard drives from Seagate's new Guardian series. The other two, the $469.99 IronWolf and $459.99 SkyHawk, are designed for NAS systems and video surveillance, respectively. The Pro, which is for “everyday desktop computing and storage,” spins at 7200 RPM, has a 220MB/s “sustained transfer rate” and comes with 256MB of cache. It also has a 300TB/year workload limit (in 24×7 operation) and a five-year warranty. There are non-Pro versions of the Barracuda available, which are presumably cheaper. These offer a slightly slower 210MB/s transfer rate, a 55TB/year workload limit, and a two-year warranty. Seagate launched its first helium-filled 10TB hard disk drives back in January, but those are primarily designed for datacenters and other enterprise applications, unlike the consumer-targeted BarraCuda Pro. Seagate announced better than expected financial results for its fourth quarter last week, thanks to a higher than anticipated demand for hard drives. Unfortunately, the company revealed it would be cutting 6500 jobs as consumers and enterprise customers start turning toward cloud and flash storage solutions.